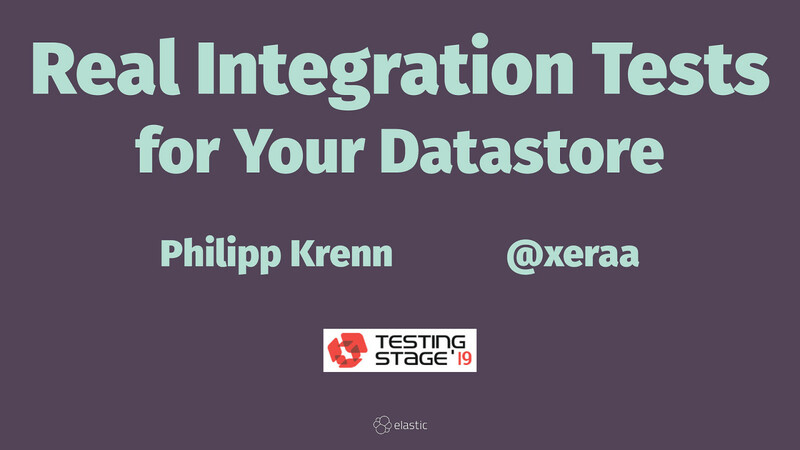 View Real Integration Tests for Your Datastore. How are you testing with your database? In-memory databases, like H2 or HSQLDB, have subtle differences and not all datastores have in-memory cousins. Managing and running tests in parallel against the actual datastore is a pain. So what is the solution? There are some very neat solutions for running embedded datastores based on containers, namely the Docker-Maven-Plugin and Testcontainers. From your tests you can start a lightweight, throwaway instance of your datastore and this talk will walk you through three different approaches and how to make them work for your tests.